Bezymyannyi Volcano, which is the first in the series that is considered here, supplied (with the help of G.S. Gorshkov) the name for this type of eruption, while the last of the three volcanoes that are considered here, St. Helens, furnished data for the most detailed study of the type. The comparison and study of the differences between the 1956, 1964, and 1980 eruptions of the above volcanoes have occupied the attention of many workers, who came to different conclusions. 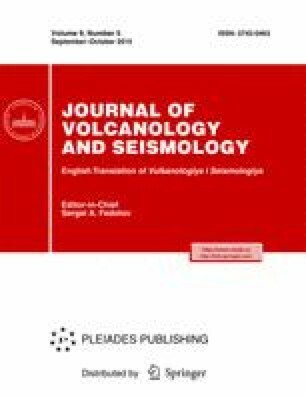 This paper is an attempt to provide another description of the differences that arose during these eruptions and to analyze the causes of the differences, to determine whether they are actually radical, and to decide whether they still allow one to classify all three eruptions as a common type. The main conclusion of this study is that yes, they do allow one to classify all of these three eruptions as a common type. Original Russian Text © Yu.B. Slezin, 2015, published in Vulkanologiya i Seismologiya, 2015, No. 5, pp. 3–8.